Watch Florida man try to break free from repo man's tow truck | Mazdaspeeds.org, The New Era in Mazdaspeed, CX-7 & Ecoboost Forums! Discussion in 'Car Related News Section' started by Halbot, Sep 27, 2018. It was an F-250 versus an F-450. 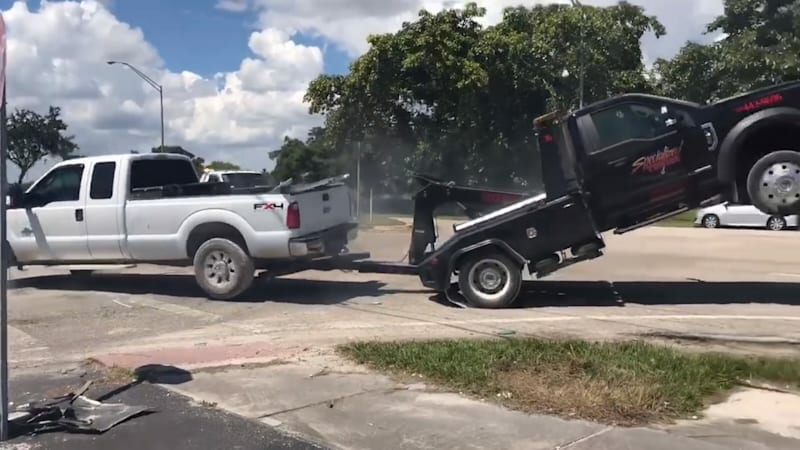 Watch Florida man try to break free from repo man's tow truck originally appeared on Autoblog on Thu, 27 Sep 2018 09:25:00 EDT. Please see our terms for use of feeds.